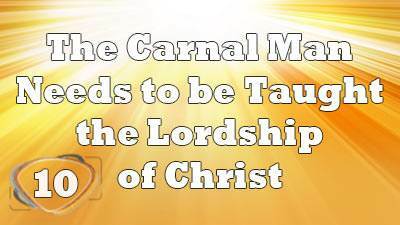 The Carnal Man needs to be taught the Lordship of Christ | Lesson 10 Questions in series "All About Me"
1. God wants to have Lordship in our lives. 2. If God's people are right before God, the unsaved will come to Christ. 3. The Self helps Jesus Christ be Lord. 4. Sin will keep us from heaven. 5. One of the problems in hell will be that people will still have to live with resentment, bitterness, hatred, and self-pity, etc. 6. 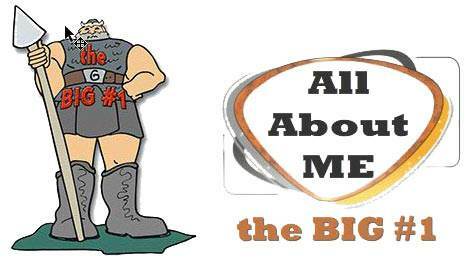 As a Christian, people should begin to see Jesus instead of Self in everything we do. 7. The Spirit of God wants to hide the Flesh (wrong motives, attitudes, morals and behavior) so that no one sees it. 8. If we fail to deal with the Flesh here on earth it will be dealt with at the Judgment Seat of Christ. 9. When Jesus Christ comes the unsaved will no longer have the choice of receiving Christ, and the Christian will no longer have the choice of walking in self-will. 10. The Lordship of Christ is a once-in-a-lifetime decision.